NAWO is the peak body championing women in operations. Our vision is for men and women to be equally represented and valued at every level and our mission is to make that happen. We offer Professional Development programs and events designed to nurture female talent in order to fill the pool of women in senior leadership. These programs draw on the knowledge and skills of our extensive network of male and female industry leaders and are invaluable for accelerating the career potential of participants. Our Five Key Learning Priorities (Authentic Leadership, Career Management, Commercial Acumen, Negotiation & Influence and Personal Courage & Confidence) are critical for women’s success in operations and all our events are aligned to one or more of these. 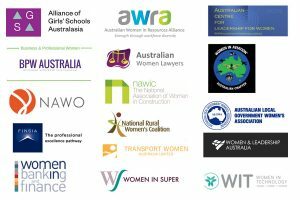 NAWO is proud to be associated with an engaged network of individual and corporate members who share our commitment to inspire and drive positive change in leadership gender diversity.